Public Service Loan Forgiveness (PSLF) is a federal student loan forgiveness program for nurses and other public servants, including medical technicians that work in the public sector. If you work for a city, municipal or county hospital, there’s a strong chance you can qualify for student loan forgiveness for nurses, if you meet all the qualification requirements. The PSLF program will forgive a good portion of your student loan debt without penalties. In fact, you can actually get out of debt for less than what you borrowed. This program takes 10 years or more to qualify, though, and it’s not guaranteed. Debt.com can connect you with a certified student loan specialist who can help you navigate the complicated process of student loan forgiveness. You must first enroll in a hardship-based federal repayment plan, such as income-based repayment. Certify your employment through the Federal Student Aid website. Make 120 qualified payments on the federal repayment plan, or 10 years of payments. Recertify your employment anytime you change jobs; some experts recommend you recertify every year. After your 120th payment, apply for PSLF through the loan servicer of your federal repayment plan. If you’re approved, any remaining balance you owe is forgiven without penalties. Are you a nurse or medical technician? Because you heal people, the federal government wants to make your bank account healthier. 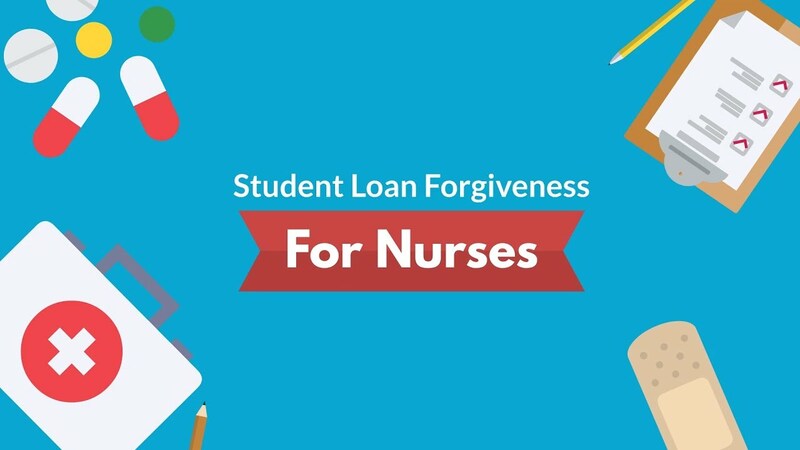 Student loan forgiveness for nurses is a thing and something you may be eligible for. If that sounds too good to be true, it’s not. You might actually get a huge chunk of your student loan balance surgically removed. Of course, this being the government, there are lots of rules. You must have federal student loans, and you must work in the public sector. Even then, you need to make 120 on-time payments first. There are some other hoops to jump through, too. You can save thousands of dollars if you do. Want to know the details in plain English? Debt.com will break it down for you. PSLF only applies to federal student loans taken out through either the Federal Direct Loan Program or the Federal Family Education Loan (FFEL). You can also include Stafford and even Perkins loans if you consolidate them with your other Direct Loan Program or FFEL debts. In other words, you may need to consolidate using something like a Federal Direct Consolidation Loan first. These programs match your student loan payments to your income level and family size. This makes it easier to keep up with the payments even on a limited budget. To qualify, your Adjusted Gross Income (AGI) must be no more than 150% of the Federal Poverty Line (FPL) in your state for your family size. As you can see, there’s a lot of red tape to even become eligible for PSLF. You must enroll in one of the hardship-based repayment plans. In some cases, you may need to consolidate first to ensure all your debts qualify for forgiveness. ensure all your debts qualify for forgiveness. PSLF only applies if you work in the public sector. Student loan forgiveness for nurses is possible if you work as a registered nurse (RN) at the local county hospital, for example. However, if you work as an RN at a private nursing home facility, you would not qualify because it’s a private company. If you’re unsure if you work in a position that qualifies forgiveness, fill out the Employment Certification Form through the Federal Student Aid website. This can help certify that your employment qualifies. It’s recommended that you re-certify each year, or at least any time you change jobs. This gives you the best assurance that you will qualify for PSLF. Note: The Department of Education does not require annual certification for you to qualify for forgiveness. If you are confident that your employment qualifies, you can skip certification; it’s just not recommended. If you do everything right and start immediately, the earliest you will qualify for PSLF will be in 10 years. You must make 120 qualified payments to the federal repayment plan you chose. You can even switch to a different hardship-based repayment plan, if you stay in one of the programs listed above. For example, if you enroll in an IBR and then decide to switch to PayE because your payments are still too high, you still qualify for PSLF and the clock doesn’t reset. Continue making payments, and after the 120th payment, you can officially apply for PSLF. During that time, you can also switch jobs, but you must maintain employment in the public sector. Again, your safest bet is to re-certify your new position through the Employment Certification form. It’s also important to note that “qualified payment” can mean a few things. It primarily refers to a scheduled payment that you make on time. However, in some cases depending on your repayment plan, you may also qualify to not make a payment. For example, let’s say you enroll in PayE. If your income is 75% or less than the FPL in your state, your payments may be reduced or eliminated. You pay $0, but the federal government credits you for a qualified payment. Your balances don’t change, but you avoid penalties and maintain eligibility for PSLF. This usually only happens on PayE. Payments that you miss during forbearance or deferment do not count as qualified payments. The final secret to qualifying for PSLF is also the most startling and troubling. PSLF is a government relief program – some would call it an “entitlement” program. That means that the program is subject to change by the federal government. The current administration under Betsy DeVos, is already adjusting the program. Under the Obama administration, PSLF expanded so more people were eligible. That’s why PSLF is often called “Obama Student Loan Forgiveness” even though the program originated under Bush in 2007. However, since you must make 10 years of qualified payments, the first graduates to qualify only became eligible for student loan forgiveness for nurses in October 2017. So far, the Trump administration has limited the employment positions that qualify PSLF. Even if you previously certified your employment, you may no longer be eligible. There are reports of people that maintained ongoing employment certification, who now say they’ve been rejected. Public professionals including nurses have been holding their breath to see if their colleagues qualify for student loan forgiveness. A report by the Department of Education reveals that 99% of the 29,000 PSLF applications processed since October 2017 have been rejected. Only 289 were approved. One third were rejected for incomplete paperwork, but the other two-thirds were denied for not meeting program requirements, from not having the right loans to not being enrolled in the right repayment plan. This shows how critical it is to follow the requirements for PSLF qualification exactly. This is also where working with a professional student debt resolution specialist can help. 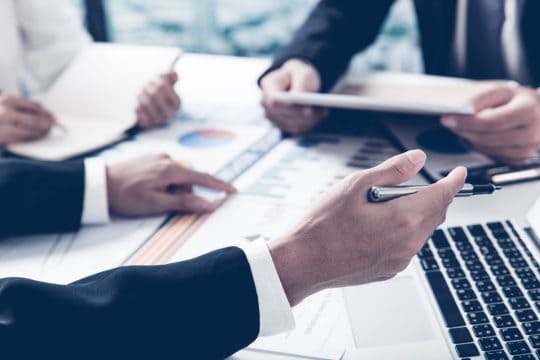 Loan servicers are notoriously bad about providing the information that borrowers need to qualify for PSLF, so you often need a third party that can help you navigate the paperwork and processes. If you need help to make sure you qualify for student loan forgiveness, talk to an accredited resolution specialist now.